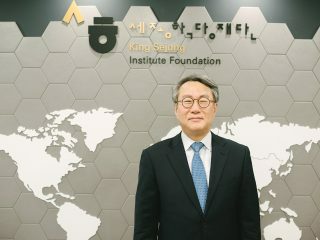 Ask Rury Lee, the editor-in-chief at publishing house BookGoodCome – a clever play on the Korean word for polar bear, bukgeukgom – about his interest in bears, and he’ll smile and tell you it’s because he resembles a bear himself. With his transparent round glasses and white scarf, the rosy cheeked author of the award-winning children’s book “Coda the Bear” could win a Santa Claus look-alike competition. 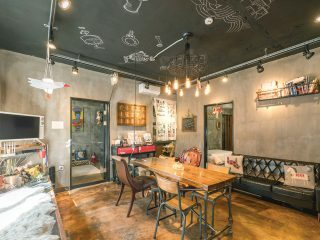 Jovial and young in spirit, he is what you might expect from one of Korea’s best known children’s writers. Nevertheless, his older brothers encouraged his love of literature. He says, “When I was in fifth grade, my brother, then a high school student, read Ernest Hemingway’s ‘Farewell to Arms’ to me, from start to finish.” The book was far too difficult for a fifth grader; it felt like torture until he started getting into the story. Afterwards, his brother began recommending titles for Lee to buy from a nearby used bookstore. “I would buy a book from the store, read it, sell it back and buy another book,” he says. 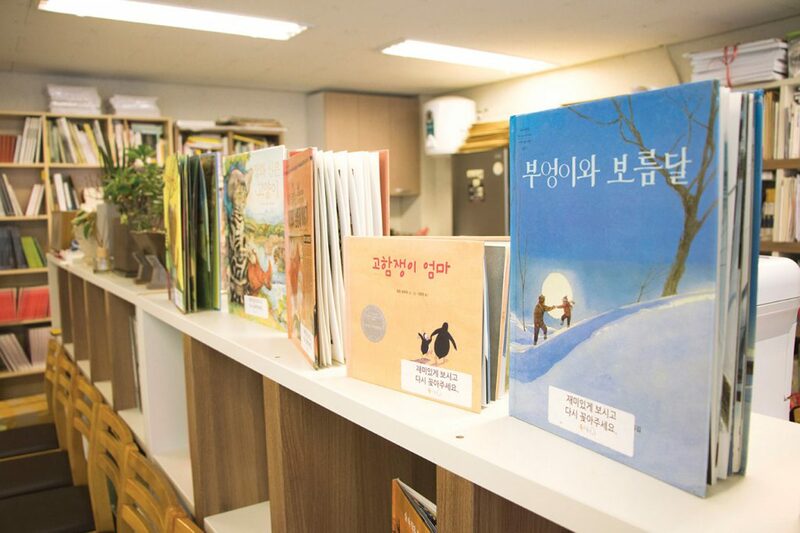 Finding it difficult to share his newfound passion with his peers, Lee began to write reviews of children’s books for the Hankyoreh, a Korean newspaper. He says that his goal was, and still is, to promote books that can touch people. “Personally, I think that works [that touch people] tend to be funny or sad. You’d be surprised how funny a work can be, or how a sad work can warm your heart.” Although Lee recognizes that the genre of children’s books is widening, he hopes to see more works that focus on fun instead of teaching lessons to the readers. Lee’s reviews began to get some exposure. He even found a few like-minded friends, one of whom suggested that he start translating. His first translation was published in 2003 under his then newly minted pen name, Rury. “In Korea, Rury means to make your dreams come true,” he explains. By translating several hit books, Lee got his footing as a translator. He’d yet to write his own stories, however. BookGoodCome was founded in 2009, when he published his first book, “Black Noses,” or “Coda the Polar Bear,” the first book in the “Black Noses” series. Since the book was so well received in Korea, they marketed the book to several other publishers at an international book fair in Bologna. Today, there are seven versions of “Black Noses” available, and Lee continues to write. 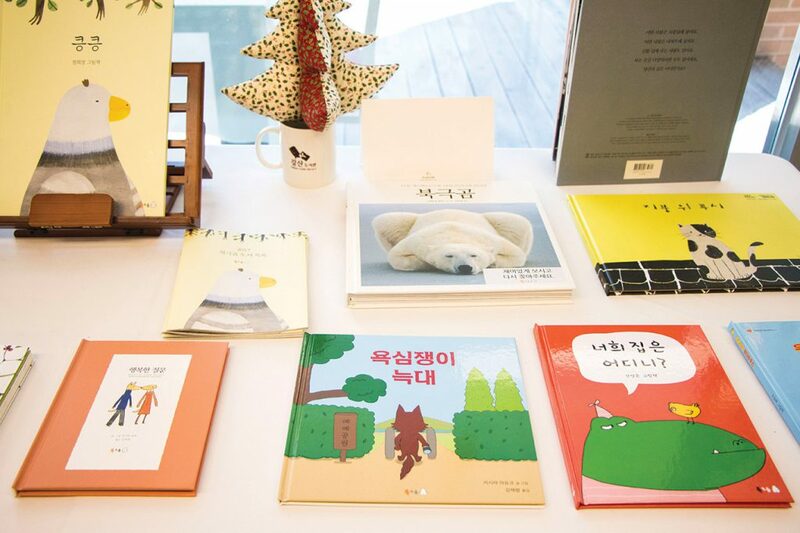 Not only has Lee promoted his own books through BookGoodCome, the company has helped to promote Korea’s children literature as a genre internationally. Some of their bestsellers include, “The Warm Breath,” “Whale Rock” and “Teddy, Are You Alright?” He also teaches classes, holds writing workshops and reads children’s books at schools. Attending international book fairs twice a year, Lee is constantly scouring for new titles to translate into Korean. What’s more, he continues to be moved by children’s books all the time. “The message of a book is something that the reader discovers through his or her life experiences. 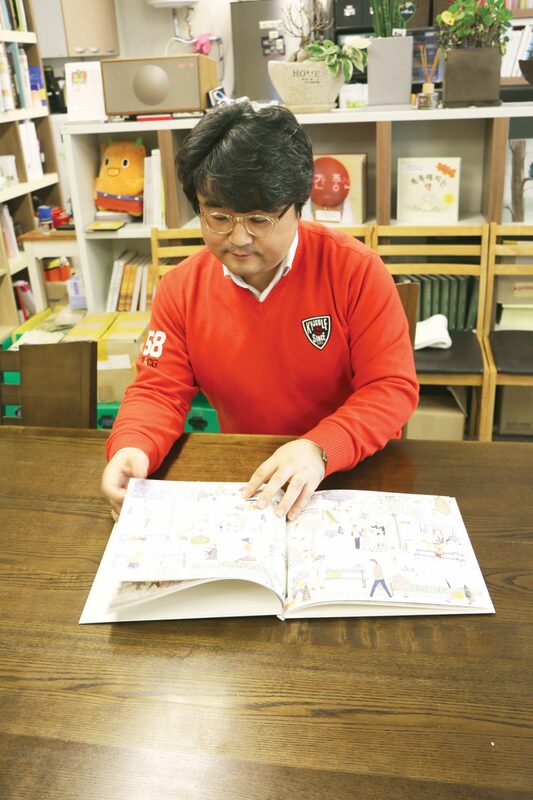 Interpreting that message is to find the real meaning of the book,” Lee says, minutes before leafing through the Korean version of the “El Arenque Rojo.” Written by Gonzalo Moure and illustrated by Alicia Varela, it’s a “picture book without text,” and Lee narrates the story aloud. “What a beautiful book,” Lee says. It’s as if he’s reading for the first time once again.